Conveniently accessible, owing to this set you can avoid hunting for different pieces at different stores. 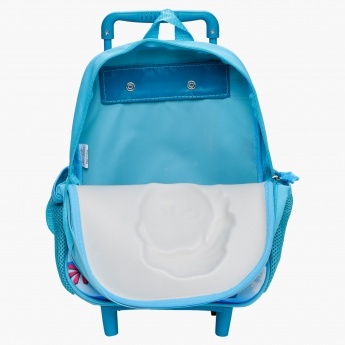 The design and look makes it a must-have. 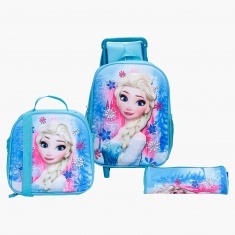 Watch your princess become famous at school carrying this school set with a Elsa printed trolley backpack, lunch bag and round pencil case.